Francis Marbury (1555 – 1611) – Rev. Francis Marbury was son of William and Agnes (Lenton) Marbury, he was born in 1555. He was educated at Cambridge. Francis married Elizabeth Moore on August 19, 1583. They had three daughters. After the birth of their third child Elizabeth died. In 1589 Francis married Bridget Dryden. They had thirteen children. About 1571 he began his ministry at Northampton. He soon found that many of the Anglican ministers were not well educated but appointed to their positions by the ruling Bishops for political reasons. He was arrested and jailed in 1578 because of his open opposition to an uneducated clergy. About 1600 he moved to London. After several successful appointments in the Church he died in 1611. His daughter Anne married William Hutchinson. George Aldridge (about 1605 – 1682/83) – George Aldridge was born in England, he was the son of George Aldrich and Joan Thurgood. He married Katherine Seald on September 3, 1629 in Derbyshire, England. George and Katherine came to New England in November 1631 probably on the ship Lyon. They first settled in Dorchester, Massachusetts. On February 24, 1640 George was granted a 20-acre parcel of land in Mt. Wollaston (which became Braintree that same year). In 1663 they came to the region that was incorporated four years later as Mendon, Massachusetts. George and his family were among the seven proprietor families of Mendon. George was a tailor. George and Sarah had thirteen children. 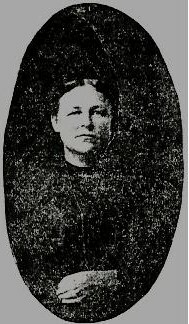 His oldest daughter, Sarah, married John Bartlett. He died on March 1, 1683. Katherine died on January 11, 1691. William Hutchinson (1586 – 1642) – Born about 1586 in England was the son of Edward and Susanna Hutchinson. William married Anne Marbury the daughter of Francis and Bridget Marbury on August 9, 1612 in London. They had fifteen children. In 1634 William and Anne and family sailed for the Plymouth Colony on the ship Griffin arriving September 18. They followed John Cotton who had gone to America a year earlier. William soon was a leader in the Massachusetts Bay Colony being elected a judge in 1635 and deputy in 1636. In 1637 his wife was banished from Massachusetts and they went to Rhode Island. He was one of the founders of Portsmouth and signed the following compact under the title The Incorporation of Providence Plantations in the Narragansett Bay in New England along with William Hutchinson, Edward Hutchinson and nine other men: “We, whose names are underwritten, do swear solemnly, in the presence of Jehovah, to incorporate ourselves into a body politic, and as He shall help us, will submit our persons, lives and estates, unto our Lord Jesus Christ, the King of Kings and Lord of Hosts and to His Holy Word of Truth, to be guided and judged thereby. Exod. XXIV.3; 2Kings XI, 17.” William was a leader in the Colony. He died in 1642. Anne Marbury Hutchinson (1592 – 1643) – Anne Marbury was born on July 20, 1591 in Alford, Lincolnshire, England. She was the daughter of Rev. Frances and Bridget Dryden Marbury. On August 9, 1612 Anne married William Hutchinson, a London Merchant. William and Anne had fifteen children. William and Anne immigrated to New England with their family in 1634, she was forty-three and her husband forty-eight. William and Anne and over sixty others moved to Rhode Island. William died there in 1642. The Massachusetts colony was growing rapidly, Anne feared her home might soon be under the control of Massachusetts. Anne moved to Long Island, New York, controlled by the Dutch. The Dutch governor had aroused the enmity of the Indians and in 1643 an attack was made on the settlement. 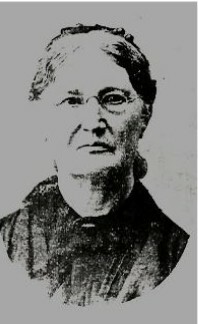 Anne and six of her children were killed in the attack. Her youngest daughter was taken into captivity and not recovered for four years. William Dyer (1609 – 1676) – William was born in 1609 and baptized September 19, 1609 in County Lincoln, England. Walter Blackborne contracted William at age fourteen as an apprentice. His nine-year indenture was enrolled with the Fishmongers on August 20, 1625 retroactive to the previous summer. Blackborne obligated himself to serve as a surrogate father, teaching young Dyer his trade, provide him with bed, food, clothing, and behavioral supervision and maintain him in the religious life of the parish. In return, Dyer agreed to serve his master faithfully for the set term of years, to forgo marriage during his apprenticeship, to keep his master’s secrets and to adhere to strict behavioral standards. He married Mary Barrett on October 27, 1633 in St. Martin-in-the-Fields, London, England. They had seven children. In 1653 William and Mary Dyer set sail to Boston. Soon he was prospering in Boston, one of fourteen owners of a wharf. In 1637 William and Mary moved to Rhode Island because of their support of Anne Hutchinson. He was one of the signers of the compact for the government of Rhode Island in 1638. He served as secretary that same year, general recorder, 1648; attorney-general, 1650-53; member of the general court 1661-62, 1664-66; general solicitor, 1665-66, and 1668; and secretary to the council, 1669. He was one of the founders of Portsmouth and signed the following compact under the title The Incorporation of Providence Plantations in the Narragansett Bay in New England along with William Hutchinson, Edward Hutchinson and nine other men: “We, whose names are underwritten, do swear solemnly, in the presence of Jehovah, to incorporate ourselves into a body politic, and as He shall help us, will submit our persons, lives and estates, unto our Lord Jesus Christ, the King of Kings and Lord of Hosts and to His Holy Word of Truth, to be guided and judged thereby. Exod XXIV.3; 2Kings XI,17.” William’s wife Mary Dyer was martyred for her Quaker beliefs in Boston on June 1, 1660. She was executed by hanging. William then married Catharine and they had one child. William died about 1676 in Newport, Rhode Island. Mary Barrett Dyer (1610 – 1660) – Mary Barrett, Quaker martyr, was born in 1610 in London, England. She married William Dyer on October 22, 1633. They immigrated to America in 1635. They left the Plymouth Colony for Rhode Island when Anne Hutchinson was banished in 1637. The Dyer’s eventually settled in Newport, Rhode Island. Mary and William had seven children. In 1652 Mary accompanied Roger Williams and John Clarke on a political mission to England. Mary remained in England for five years and while there became a follower of George Fox, founder of the Society of Friends (Quakers). In 1656 and 1657 the Massachusetts General Court met and succeeded in passing several laws against “the cursed sect of heretics … commonly called Quakers” which permitted banishing, whipping and corporal punishment (including cutting off ears, boring holes in tongues). The Court also ordered that any commander of a ship bringing a Quaker into a harbor pay a fine of 100 pounds and that they (the Quakers) must be brought back to where they came from or go to prison. Mary, unaware of the new laws, upon arriving in Boston in 1637 was arrested and kept in jail. Her books and Quaker papers were confiscated and burned. Mary was finally able to slip a letter out to her husband. 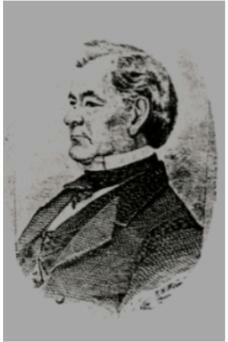 Governor Endicott was startled when William Dyer barged into his home, demanding his wife be released immediately. She was released under the condition that she would never return to Massachusetts. In 1658 Mary was expelled from New Haven for preaching. In 1658 the Massachusetts authorities passed by a single vote a law banishing Quakers under pain of death. In June, 1659, Quakers William Robinson and Marmaduke Stephenson felt a call to enter Massachusetts. They were thrown in jail. Learning of their incarceration, Mary went to Boston to visit them and was imprisoned. William Dyer intervened and they were released but banished from Massachusetts under threat of execution should they return. Robinson and Stephenson felt called to continue their ministry. They were arrested again. Mary with two other women, upon learning of their arrest, walked to Boston. She was arrested again. In jail she wrote a letter to the General Court pleading it to change the laws. On October 27, Robinson and Stephenson were hanged. Mary Dyer, noose around her neck, received a last-minute reprieve because of the intervention of her son William, Jr. She made clear her intention to return to Boston; she “desired the repeal of that wicked law against God’s people and to offer up her life there.” She returned to Boston in April, 1660, without telling her husband. He again wrote a moving letter to the magistrates of Boston. On May 31, 1660, she was brought before the General Court and condemned to death. She was hanged on the gallows on June 1, 1660. Edward Hutchinson (1613 – 1675) – The oldest son of William and Anne (Marbury) Hutchinson he was born on May 28, 1613 in Alford, England. Edward was one of the founders of Portsmouth, signing the original compact. He married Katherine Hamby on October 13, 1636. He came to America with Rev. John Cotton on the Griffin in 1633. Captain Hutchinson commanded troops during King Phillip’s war. On July 14, 1675, Native Americans lead by King Philip attacked Mendon, MA, killing five or six people. On August 2, Captain Hutchinson and his troops were attacked by two or three hundred Indians, he was wounded in the attack. On August 19, 1675 he died from his wounds. John Bartlett (about 1644 - d. 1684) – John Bartlett, probably was born in England, he married Sarah Aldridge the daughter of George and Katherine Seald Aldridge in 1665. John and Sarah first settled at Weymouth, Massachusetts about 1666. He was one who had his money invested in the development of the town as a Proprietor. They moved to Mendon, Massachusetts in 1671. At a Mendon town meeting on January 1, 1672 he was granted a twenty-acre house lot with all the rights and privileges that other twenty acre lot owners had, except he had to wait for his meadow until all other inhabitants who had come before him had received theirs. At the town meeting on March 18, 1672 it was voted by the freemen and granted that he should pay ten pounds for his lot which was on the west side of Mill River. John was the contractor who built the house of the Reverend Grindal Rawson, Mendon’s minister. John and Sarah left Mendon at the outbreak of King Philip’s war, as did the rest of the settlers (several settlements were attacked by Native Americans let by King Phillip in 1775). They returned after peace was restored. By 1683 they moved to Rehoboth, Rhode Island (Cumberland). On June 5, 1683 he took an oath of fidelity as a resident of Rehoboth. John died on February 26, 1684, he was just forty years old. Sarah died a year later on February 17, 1685. John and his wife left a very large estate to their eight minor children. The estate was most likely held in trust by the “Proprietors” to provide for the children. In 1698, an agreement was signed by all the children, except Noah and Daniel, not then of age, for the distribution of the property. John Bartlett (1665/66 – 1732) – John Bartlett was born on February 11, 1665/66, the son of John and Sarah (Aldrich) Bartlett. He died on November 8, 1732 in Smithfield, Rhode Island. Jeremiah Bartlett (1701 – 1750) – Jeremiah Bartlett was born on May 9, 1701, the son of John and Alice Bartlett. He married Margret Tower who was born on October 16, 1706. John died on June 18, 1750 and Margaret died on April 9, 1783. Jeremiah Bartlett (1741 – 1800) – Jeremiah Bartlett was born Aug 16 1741, the son of Jeremiah and Margret (Tower) Bartlett. He was married to Rebecca Lapham on March 25, 1762 in Dartmouth, MA by Quaker Elder Nathaniel Cook. Rebecca died in 1786 and Jeremiah died on August 20, 1800. Jeremiah Bartlett (1775 – 1813) – Jeremiah Bartlett was the son of Jeremiah and Rebecca (Lapham) Bartlett born on April 6, 1775 in Cumberland, Rhode Island. He was the twin brother of Susannah. He married Jerusha Dyer Jeffers on May 27, 1796 in Cumberland, RI. He went with his family to Harmar, Ohio in the fall of 1805. His brother, Amos, preceded him to Ohio. He bought land about three miles above Harmar, on the bank of the Muskingum River. After building a house he took his wife and family there in the fall of 1806. The journey from Cumberland, RI to Sumrilis Ferry on the Youghiogheny River, present day West Newton Pennsylvania, was made in wagons and on horseback. There the men built an open boat in which they floated the wagons, luggage, and furniture, together with pigs, sheep and chickens down the Youghiogheny, Monongahela and Ohio to Harmar. Other men with the women and children came through with the horses and cattle. Jerusha Bartlett often told her grandson of the many hardships of this long journey, on which she carried on horseback in her lap her infant son Levi. The road was an untamed path over a rough country. Many streams had to be forded. In 1813 he bought eighty acres of land in Wesley Township, Washington County, Ohio. Jeremiah and Jerusha had ten children. Jeremiah is described as a strong man, five feet nine inches tall, weighing 180 pounds. Jerusha is described as medium size, strong and sprightly. Jeremiah died on September 23, 1813. Jerusha died at the home of her son Levi on April 20, 1868. Levi Bartlett (1805 – 1879) – Levi was born on July 20, 1805 in Cumberland, RI. He was the son of Jeremiah and Jerusha Bartlett. He is described as a strong, active man, five feet nine inches tall, weighing about 200 pounds. With his love for books and study, he was prepared on reaching the age of twenty, to take a country school, and for the next twelve years was a teacher most of the time. He was a county surveyor. In 1852 Levi was a Representative in the Legislature. He married Maria Dickey on October 26, 1837 and they had five children. After Maria’s death Levi married Phebe Canfield Green, the widow of Leonard Green and the daughter of Ezekiel Canfield on November 11, 1851. Levi and Phebe had nine children. Levi was injured by being thrown from his buggy, his horse having been frightened. Three day later, on May 18, 1879 he died. 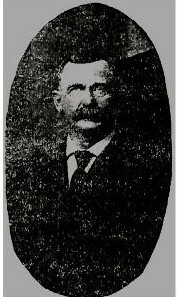 Daniel Canfield Bartlett (1854 – 1920) – Daniel was born on February 25, 1854 in Marietta, Ohio. He was the son of Levi and Phebe Bartlett. He married Lucia Elizabeth Newton on January 18, 1881. They made their home on a farm in Illinois until 1891 when they moved to Yale, Iowa, where he bought a 160-acre farm. He was known as being well read, progressive and enterprising. In 1895 he joined the Christian Church (Disciples of Christ) in Yale. Daniel and Lucia had ten children. In 1917 he went to Long Beach, California. During his residence in California he especially enjoyed the Taubman Bible Class and attended whenever his health permitted. He died of a heart attack in Long Beach in 1920 at the age of sixty-six. Lucia died on December 6, 1940 in Long Beach.